Hosting a casino night can be a lot of fun for your friends and family. They will definitely have a great time playing the different casino games knowing that it is not for real money and just for fun. If you are on a budget then hosting a casino night can be quite challenging. The main concept is to provide an atmosphere that feels like a real casino but without the costs and actual gambling. If you want to host a casino night on a budget, you can try different methods to help you get the job done. Make a proper casino night party plan before doing anything else. Be sure to list all the items that you will need and how much they will cost. This plan will help you stay organised and focused. Be sure to list down your actual budget and try not to go over this figure. If your budget is tight then you will have to get creative when trying to host a casino night for your friends or family. Make a guest list so that you know how many people will be attending and you can make your plans accordingly. Remember that the more people you invite the costlier your casino night will be. Food is always important and more so if you are trying to host a casino night on a budget. Keep your costs in mind and try to find a reasonable caterer that can handle your needs. Remember to keep it simple but elegant as well. Try to get creative with the menu to help save you some money. Find a reputable casino game supplier and rent the different machines for the night. 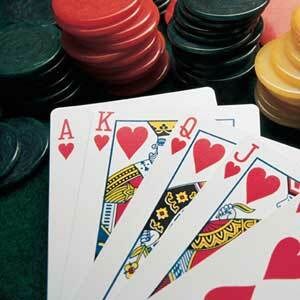 Be sure to shop around to find the best rates for the casino games. If you have enough space in your house or garage then you can always host your casino night there. However, if you do not have space, then look for a community hall or something similar which will not cost a fortune to rent out for the night. Alcohol is always a must for any party and more so if you are hosting a casino night. You might want to hire a separate person to handle the bar and make it independent so that guest have to pay a nominal fee depending on the amount of drinks that they order or consume during the night.